Development of an environmentally benign route for synthesis of nanomaterial is a remarkable step in the field of nanotechnology. Nanotechnology involves the tailoring of materials at the atomic level to attain peculiar and special properties, which can be seemly manipulated for many applications. 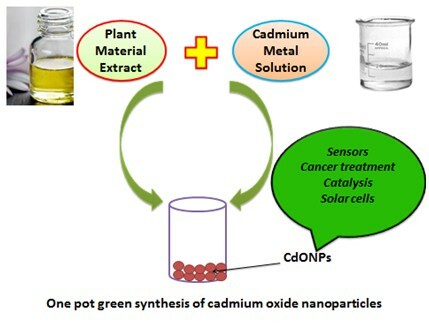 Among the all metal oxide nanoparticles, cadmium oxide nanoparticles (CdONPs) have attracted a great deal of attention due to its superior biological, chemical, and physical properties. Green protocol of synthesizing nanoparticles has emerged as an optional way to overcome the limitation of the conventional methods. Plant, biopolymers, and microorganisms are majorly used for green synthesis of nanoparticles. Using plants towards synthesis of nanoparticles are emerging and also beneficial compared to microbes with the presence of broad variability of biomolecules in plants which can act as capping and stabilizing agents and so increases the rate of stabilization of synthesized nanoparticles. Also, the nanoparticles produced by the plants material are more stable than the microorganisms. Therefore, among the all organisms plants are best potential candidates for biosynthesis of CdONPs and they are suitable for large-scale biosynthesis. 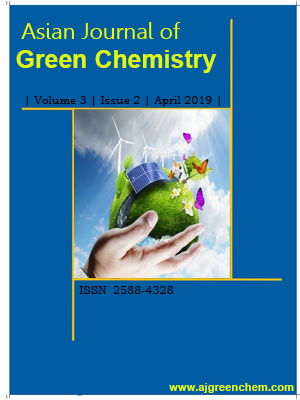 In this review, the green synthesis of CdONPs, protocol of syntheses, mechanism of formation, and their miscellaneous applications have been discussed.